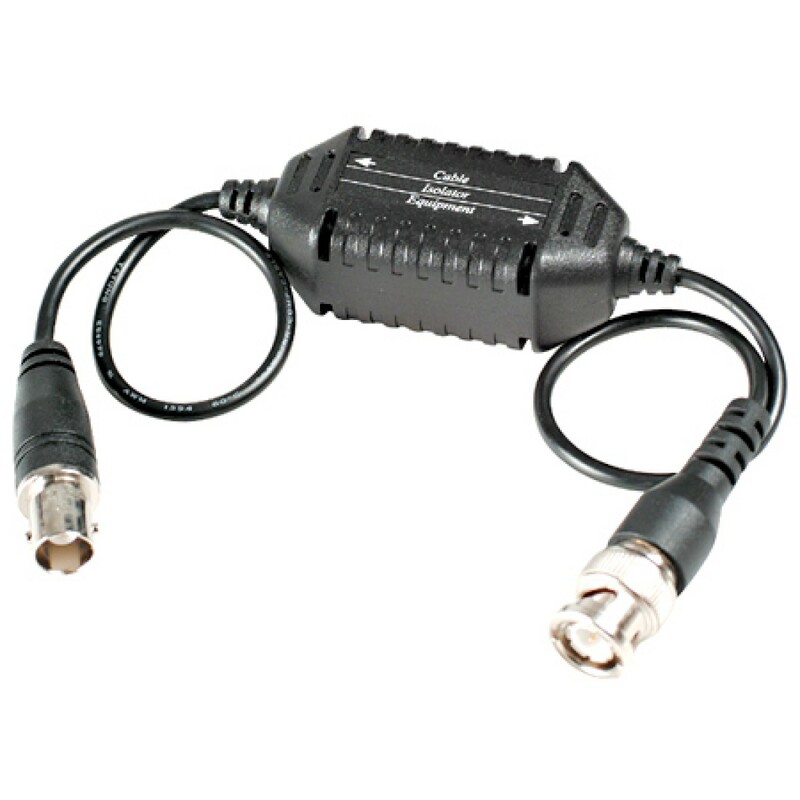 Eliminate video distortion and noise on RG59 video cable with our GLO100 ground loop isolator. 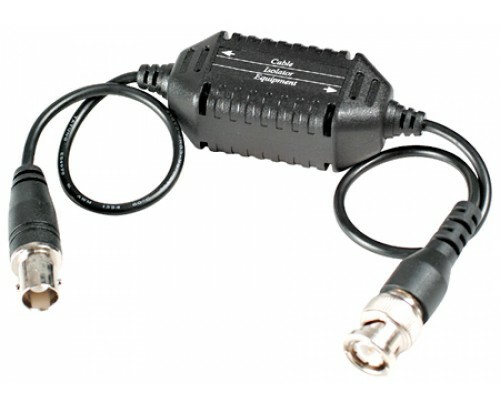 BNC male & female connectors. 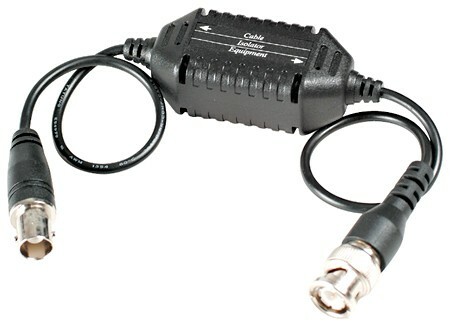 Can be used at the camera or at the DVR. No power required.